Nerd out. While uploading her photo, a consumer also gets to pick from one of 16 cool facts, like "If you had a penny for every odor molecule that can be neutralized with a bottle of Febreze, you would be worth more than everyone on Earth combined." The personalization further engaged consumers, and the surprising information emphasized the importance of using Febreze. Be your baddest self. 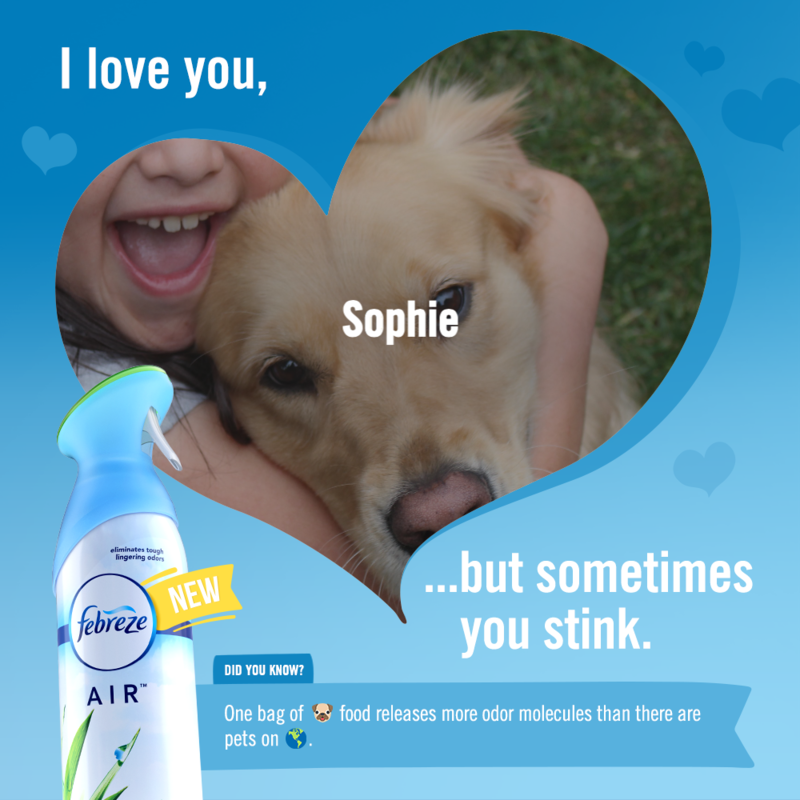 Odor is a potentially unpleasant topic, yet Febreze transformed it into a strength. They solicited pictures of something that users "love," and most of the content is of food, pets, or kids, which is to say, things that elicit a strong emotional response. The campaign also complements the brand's TV spot and social accounts on Facebook and Twitter, an creating a larger #OdorOde narrative for consumers to participate in. Simple doesn't mean boring. Though millennials with smart phones have been conditioned to snap selfies, not everyone is as eager and able to upload pictures. 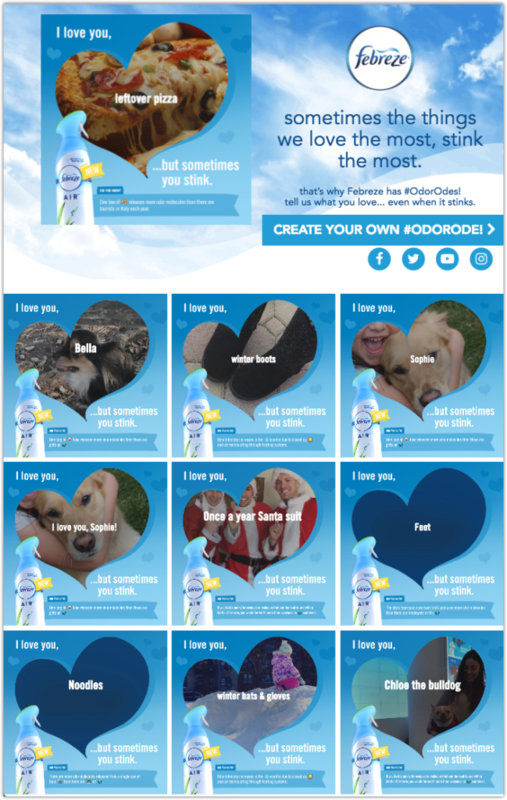 Because Febreze chose the fill-in-the-blank template, odor lovers could participate just by writing text, making the campaign more diverse and accessible. Emily has been at Wyng for 3 years and managed 200+ agency partnerships. She is our resident agency specialist and is passionate about how agencies can leverage technology to fuel innovation and differentiation. Emily runs WoW (Women of Wyng) and loves following advertising trends around female empowerment and body positivity. Her favorite brands include Ben and Jerry’s, VH1, Mattel and Otherwild.